Rockstart is happy to announce the startup participants for the 2017 Smart Energy accelerator program. We’ve selected teams from across the globe—from Australia to Uganda—that provide services and solutions for a digital, decentralized, and decarbonized energy system. The startups will spend the next five months in the Rockstart building in Amsterdam working hard on their ideas, supported by a stellar team of mentors, industry experts, and partners. 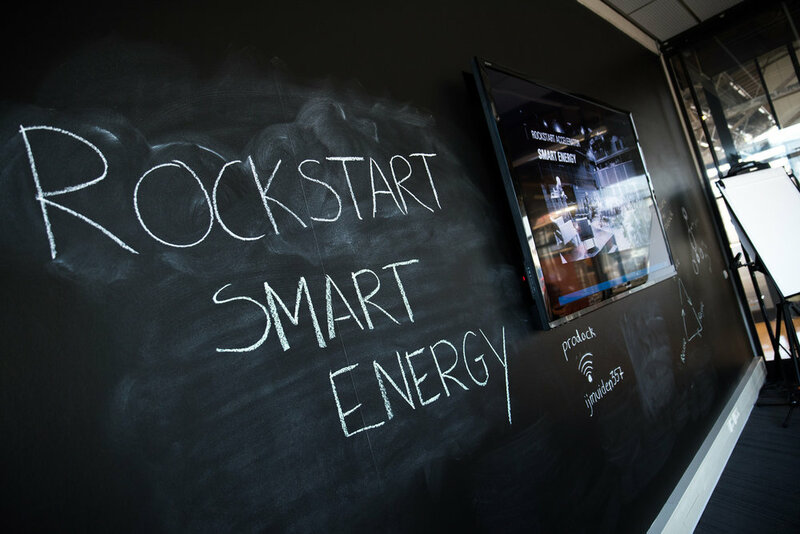 This year marks the fourth Smart Energy program at Rockstart. Since 2014, the 28 companies that have gone through the accelerator have raised more than €4.5 million in follow-on funding and created more than 100 jobs. Some startups from the fresh batch serve energy customers directly, while others enable service providers to adopt clean energy in homes and communities. Efficiator (The Netherlands) offers a one-stop solution to implement drastic energy efficiency measures to consumers and homes through one comprehensive app, while Fritts (The Netherlands) empowers people to easily go solar and benchmark their solar performance in order to secure their investment returns. For off-grid communities, SolarCreed (Nigeria) provides pay-as-you-go energy solutions, while SolarPipo (Uganda) builds an online sales platform for solar systems. And Solar Captus (Australia) builds a radically different tool set for energy companies to sell solar energy, using machine learning on satellite imagery. The other startups are working on management and optimization tools to make clean energy systems smarter, more reliable, and more efficient. Hero Balancer (Netherlands) is a self-learning building management system that takes care of heating and comfort by combining renewable energy sources. OneWatt (Philippines) is a smart energy and storage system for small and medium-sized businesses that can reduce electricity costs. For industrial battery systems, Bamomas (Finland) provides a cloud-based, industry 4.0 monitoring and management solution. Sensfix (Germany) is the first of its kind—a fully automated online aggregator of IoT assets and marketplace for fast and low-cost maintenance and repair of smart city assets. Rockstart, one of Europe's first multi-vertical startup accelerators, was founded in Amsterdam in 2011 with a goal to support startups the first 1,000 days of existence. Since then Rockstart has become the specialist in developing entire innovation ecosystems around specific domains—such as Digital Health and Smart Energy. Rockstart is actively building up entrepreneurial infrastructures around the world with its acceleration verticals, as well as early-stage startup programs, Rockstart Impact and Rockstart Launchtrack. Since the inception, Rockstart has invested in 108 startups across 11 programs and supported them in their journey to raise more than €45 million and hire more than 600 people. Rockstart is an international team of 40+ professionals dedicated to support and empower startups to become scalable and change their world for the better.